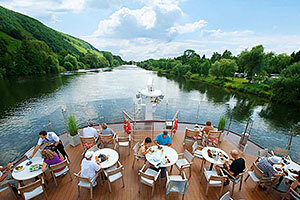 In Europe, river cruising continues to experience an unprecedented boom. Besides the sheer increase in the number of boats on the waterways, the experience of a river cruise is changing, too, with more sophisticated amenities and smart new programs. We weigh in on what's innovative and different. What's changing: Just about every river line offers the occasional buffet meal on its sun deck, typically on a day of cruising. 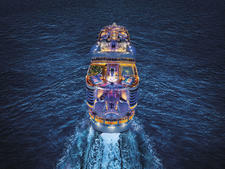 What's exciting is that some lines are incorporating alfresco dining into new ship designs. 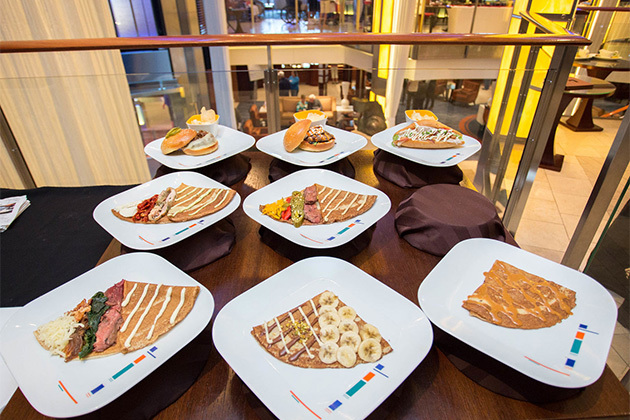 On Uniworld's S.S. Antoinette, L'Orangerie is the industry's first "pop up" restaurant; the captain can literally lower the ceiling and walls in order to pass under low bridges. Breakfast, lunch and dinner are served there. On Viking River Cruises' Longships vessels, the Aquavit Terrace features indoor/outdoor dining at all meals, including a casual alternative to main dining room dinners. Emerald Waterways' (which goes by the name Evergreen Tours in Australia) new Emerald Sky has an outdoor grill on an outer deck. Considerations: If dining outdoors is important to you, choose your ship carefully. Aside from the aforementioned special sun deck buffets, lines like AmaWaterways, Avalon Waterways, APT, Vantage, Tauck and Grand Circle have limited alfresco options (as does Uniworld on any ship other than S.S. Antoinette). What's Changing: One of the charms of river cruising is that most shore excursions are included in cruise fares. These typically involve city walking tours or motorcoach trips to major historic, natural or cultural sites. 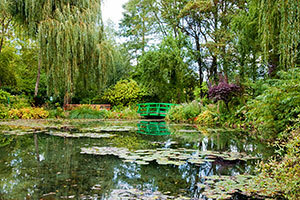 Increasingly, however, river lines are adding more unique opportunities to their tour menus. On a Uniworld Rhone River cruise, you can go truffle hunting. On Viking River's Bordeaux itinerary, you can visit a cognac house where you'll blend your own bottle, and AmaWaterways features hands-on cooking classes in restaurants. Considerations: Typically these excursions are priced on an a la carte basis, anywhere from $100 to $200 apiece, so if you want something special, you'll have to pay for it. There are two exceptions: Neither Tauck nor Scenic charges for tours. What's Changing: Lines that you may never have heard of, such as Luftner's Amadeus and CroisiEurope, are courting North American and British travelers. These companies, the former from Austria and the latter from France, have long carried some English-speaking passengers, but that's because they market to travel groups (like alumni associations). This year, Luftner's Amadeus has partnered with Amras, a Boston-based company, to market more proactively in North America. 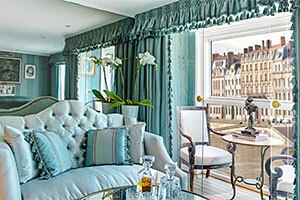 CroisiEurope is also making a strong effort to draw English-speaking travelers to its moderately-priced river line. Considerations: The primary onboard language might not be English, and you could find you're traveling with more Europeans than English-speakers. Also, while increasingly limited, smoking can be more widespread on lines that primarily cater to Europeans. What's Changing: Unlike oceans, rivers can be buggy, and sitting out on your verandah (or keeping French balcony windows wide open) can attract annoying insects. In a brilliant move, Uniworld's S.S. Catherine is the first ship on the rivers to put a screen in place on all balconies. It's optional; the push of a button opens the balcony's window with the screen in place -- or not. Considerations: Screens are only on S.S. Catherine for now. What's Changing: The big trend over the past couple of years for river new-builds has been to replicate existing designs over and over again. On Avalon, AmaWaterways and Viking River in particular, if you've seen one newbuild, you've seen them all. Well, almost. Some rivers are trickier than others, necessitating revised ship designs. Germany's Elbe is particularly shallow, so ships require a different propulsion system (jets at the back that essentially push the vessels forward). This propulsion isn't strong enough to power a ship of typical length, so the vessels must be smaller. Portugal's Duoro poses a different challenge, as it's narrower than most. So, for instance, when Viking River recently introduced its new Viking Torgil and Viking Hemming in Porto, it dubbed them the "baby Longships." Accommodating just 106 passengers (instead of the normal Longship capacity of 190), there are plenty of consistent features, particularly in decor and ambience. Cabin layouts are nearly identical, as well. But, because these ships are shorter, the Aquavit Terrace concept is abbreviated (no food service outdoors), which is a shame, but these twins do each have a small swimming pool on their sun decks. Considerations: While lines like Avalon, AmaWaterways and Viking River still are building most ships in nearly identical classes, do your homework on the line, ship and itinerary before you book a cabin. What's Changing: France's trademark river cruise itineraries have long been on the Rhone, which visits Burgundy and Provence, and the Seine for Paris-based cruises that go to Normandy, Monet's Giverny and Rouen. Bordeaux, on France's western coast, is new this year for U.S.-based Uniworld and Viking River. (In 2015, Scenic and Avalon will offer it, too.) Next year, CroisiEurope will be the first river line to offer a Loire Valley river cruise. Considerations: Operating on French rivers can be challenging for river lines. There are varying reasons. The Seine has an enormous number of locks and tidal issues as the river gets close to Honfleur and the Atlantic. On the Rhone, medieval bridges are extremely low, so sun deck time can be limited, and in Bordeaux, tidal issues and the construction of a TGV (fast train) bridge across a key waterway are causing cruise lines to retreat to Bordeaux and use buses to transport passengers to some attractions. 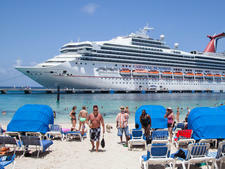 What's Changing: Avalon and Viking River are frontrunners when it comes to upping the size of accommodations. Avalon pioneered the "Suite Ships" concept. At 200 square feet, about 15 percent larger than standard river cabins, these staterooms (which technically aren't true suites, as they're just one room) have a very different design from that of most riverboats, with walls that are slightly angled to open them up. In addition, floor-length windows peel back to create balcony-like seating areas with tables large enough for dining. Marble bathrooms are especially spacious. Going a step further, Viking reconfigured the layout of its cabins on its Longships so that two-room suites, with separate sleeping and living areas, are lined up one side, sideways. Luftner's Amadeus, which launched a spate of standardized design newbuilds, is working on its next new vessel, due out in 2015. 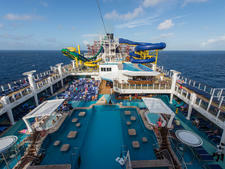 On that ship, the line will reduce capacity to increase cabin size. In another cruise cabin innovation, Tauck has eliminated "aquarium class" by building multilevel rooms that give every passenger access to natural light and fresh air. 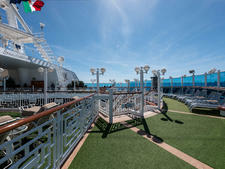 The result is a space that feels airier and more pleasant than previous lower-deck cabins. Furnishings also play a big role in making cabins seem larger. While cabins are generally the same size throughout AmaWaterways' fleet, furnishings are more streamlined on newer vessels to make the rooms feel more spacious. Considerations: On Viking's Longships, standard balcony cabins actually were downsized to make room for more suites. Beyond suite accommodations, most river cruise cabins are still smaller than their oceangoing counterparts. If space matters, make sure you choose your stateroom carefully or upgrade to suite-level accommodations.